Requester is not the form you're looking for?Search for another form here. Form 3526-R is Statement of Ownership Management and Circulation. This document must be used by requester publications. Form 3526-R must not be confused with Form 3526 which is created for general and other publications. The form isn’t required to be filed by publications that use such classes of mail as Standard, First class or Package services. What is Form 3526-R for? Form 3526-R aims to confirm the ownership and publication management information and to ensure that publishers meet circulation requirements that allow them to qualify for periodicals mail. According to circulation criteria no less than 50% of publications must be sent to those who have paid for them or requested them. Therefore it is important that publishers keep all subscribers and nonsubscribers copies to report them correctly on postage statements. Any discrepancies may result in an audit. Is Form 3526-R accompanied by other forms? Form 3526 must include newsstand copies returned to the publisher, copies for office use, leftovers, spoiled copies and those that were not distributed. When is Form 3526-R due? The Statement of Ownership Management and Circulation is due the 1st of October each year. 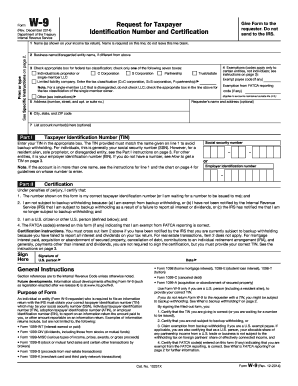 How do I fill out Form 3526-R? Filing process won't take much time. Form 3526-R includes two pages followed by instructions. 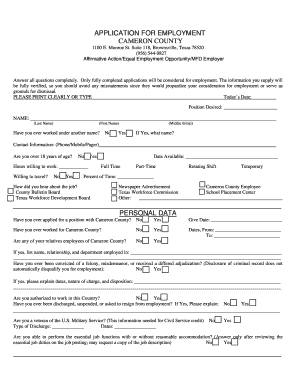 The minimum information required on the form is title of publication, its number, owner’s identification information. Additionally a filer must provide information about beholders, security holders who hold 1% or more of total amount of bonds, mortgages, etc. there is also a specific box to be checked if filer’s tax status has changed. Where do I send Form 3526-R? The completed Form 3526-R is sent to the post office that serves publishers’ offices. Nuts and Bolts of Periodicals. Two Forms 3526. 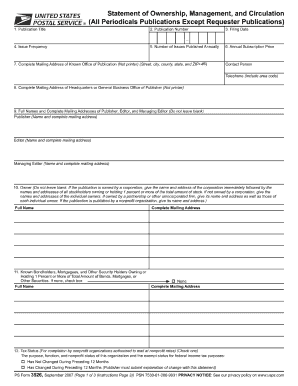 Requester publications – Form 3526-R. All other – Form 3526. Nuts and Bolts of Periodicals. Periodic Reviews. 540 Schedule D/3885A - 2004 Instructions .... 3525 - 2004 Substitute for Form W- 2, Wage and Tax Statement, or Form 1099-R, Distributions From Pensions, ... 3526 - 2004 Investment Interest Expense Deduction (fill-in), View/Download.